Russia’s state-owned bank and its US partner favour emerging technologies such as artificial intelligence and machine learning, which they believe hold greater appeal to investors, reports Graham Buck. Blockchain has been the buzzword at many fintech conferences across Europe in recent years, but Russia’s biggest bank is focused more on other developing technologies such as artificial intelligence (AI), robotics, machine learning and cybersecurity. That much was evident in Moscow earlier this week when state-owned Sberbank, Russia’s biggest bank whose origins date back to 1841 – held its first IT Demo Day, as part of a joint initiative with California venture capital fund 500 Startups. The partnership between the venerable Russian entity and the San Francisco firm established in 2010 was announced last September, in the form of a 13-week accelerator programme. Russian IT start-ups in a range of different sectors from e-commerce to supply chain technology were invited to apply and a total of 843 firms responded, which a panel narrowed down to a shortlist of just 30 announced two months later. E-commerce was the sector with the biggest representation among applicants, accounting for 15% while cloud services and lifestyle services were next, both accounting for 9%. Each of the projects selected was eligible for seed investment of up to RUB 10 million ($150,000) and the opportunity to promote their product in Sberbank’s ecosystems and corporations, as partners of the accelerator. This week’s Demo Day was the culmination of the programme, effectively a beauty parade before a judging panel, an audience of potential investors and representatives from both the bank and 500 Startups, including the latter’s founding partner Christine Tsai. Each of the 30 firms had just two minutes to pitch their products and services, from which seven were chosen to proceed to the next stage – a trip to Silicon Valley this spring and the opportunity to present their projects to potential investors and clients while receiving mentoring from 500 Startups in areas such as international business practice. Opening speakers were Tsai and Sberbank’s chief executive and chairman Herman Gref who is credited with galvanising the bank since taking on the post back in 2007. As he acknowledged, reinventing a 177 years-old to match younger competitors has proved challenging but the bank has been investing in technology for several years including emerging areas such as e-commerce and the cloud. Compere for the Demo Day was Lev Khasis, first deputy chief executive of Sberbank. The contenders were an eclectic mix that included Fish.Travel, a global booking platform in 41 countries catering for fishers and anglers who spend an estimated $190 billion annually on their hobby; Sputnik8, an online travel marketplace offering offbeat tours by local experts; and WindyApp, a professional weather app providing hourly forecasts for surfing, yachting and other outdoor activities with 150,000 daily users. A technology provider for analysing and managing digital content distribution across the entire supply chain. The firm has helped both 20th Century Fox and Walt Disney in collating and verifying disparate sales data and formed a strategic partnership last May with the Russian branch of global information company Nielsen. It is also now working in e-books distribution. Provides tools for collecting data and converting it to profitable assets. Only three months old, the firm plans to become a major force in the rapidly-growing machine learning market. 500 Startups’ Tsai said that she likes the firm as “data is getting over-hyped, but empowers everything we do” and being data-agnostic offers the opportunity to better commercialise it. A smart soft toy, Mishka the Bear that incorporates AI and a built-in platform via an attached chip to convert a child’s toy into a learning tool, which can deliver educational content for toddlers. An authentication platform for verifying digital documents and photos that can detect fraudulent items and has been acclaimed by Swift. Efimova Svetlana, its CEO and co-founder, notes that criminals are becoming ever more sophisticated, such as using silicon masks to conceal their features. Oz is helping European companies combat two new threats – “spoofing”, in which a fraudster uses a photo on the social network to use on an application and using Photoshop to alter features. An AI-based screening service for automatic analysis of medical images that aims to reduce medical errors caused by incorrect diagnosis. Chief executive Anna Mesheryakova said that these account for as many as one million deaths worldwide annually and powering doctors through automation will save lives. A online business-to-business (B2B) marketplace that managing partner Anton Trantin says was 15 years in development, which automates sales, purchasing and logistics for fish and seafood wholesalers while reducing transaction costs. Also a favourite with potential investors was MaxBionic, a firm set up in 2014 by Timur Sayfutdinov and Maxim Lyashko after the latter lost his arm in a workplace accident. MaxBionic pioneers prosthetic technologies to assist the rehabilitation of amputees and its products include MeHand, a prosthetic device managed by machine rather than by a human. 500 Startups manager Chris Brown said that initial feedback from the day was that nothing like it had previously been mounted in Russia and it would hopefully become an annual event. 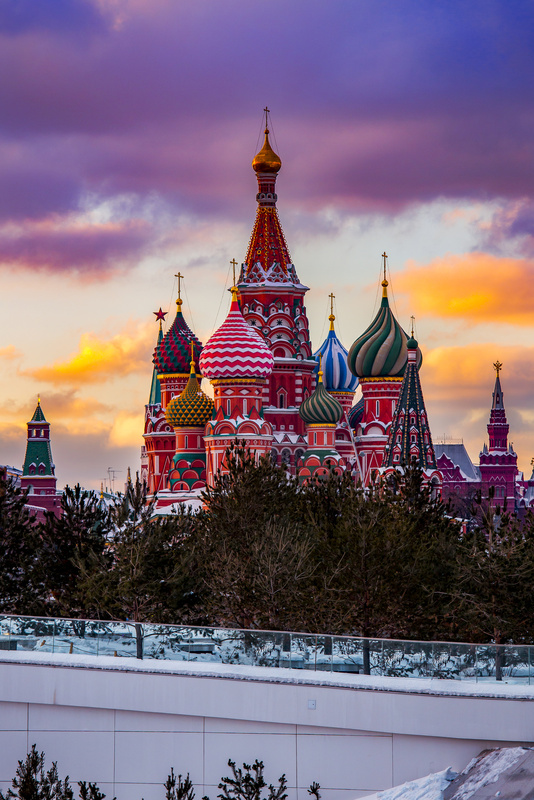 “Russia has been largely disconnected from the European ecosystem for the past five years, which has resulted in a pent-up frustration among entrepreneurs,” he told FinTech Futures. But would the “America First” rhetoric emanating from the White House over the past two years hamper US-Russian collaboration and deter American investment in worthwhile Russian IT projects?